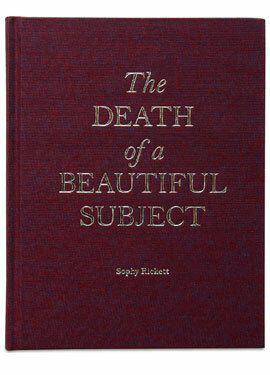 Sophy Rickett will be signing copies of her new book ‘The Death of a Beautiful Subject’ at the annual Fishbar Photo Market. The signing will take place at 3pm on Saturday 12 December, the opening day of the market. Gost Book’s 3 new titles – ‘Grey Skies Black Birds’, ‘Mexican Crime Photographs from the archive of Stefan Ruiz’ and ‘The Death of a Beautiful Subject’ – will all be available at the annual Photo Market run by Olivia Arthur and Philipp Ebeling. The event will run from 12 – 20 December and will be open from 11am – 7pm each day.